Scientists have understood for decades that climate change is happening and that humans are causing it; recent studies, including a landmark report in October from the U.N., have shown that things are even worse than we thought. Global temperatures have already risen 1°C since the Industrial Revolution; if the planet heats by much more than an additional half a degree, we could see some of the most catastrophic effects of climate change, including the death of the world’s coral reefs and the inundation of entire island nations. There are a number of recent developments on the Trans Mountain file – from the reconsideration (“redo”) of the environmental assessment to unanswered questions about the federal government’s purchase price for the pipeline, and another (much quieter) NEB decision regarding rates for the existing Trans Mountain pipeline. And all of these events have made it increasingly clear that Trans Mountain is a bad deal for Canadians. The National Energy Board’s (NEB) recent reconsideration report on the Trans Mountain Expansion (TMX) was, not surprisingly, a huge flop. But at least the report upholds one environmental value: the NEB recycled and reused the vast majority of its previous report, leaving 10 of the 14 chapters completely unchanged, aside from updating footnotes and changing “Aboriginal” to “Indigenous” throughout (because, reconciliation). The “new” report (which recommended approving the project) did include one new chapter, one rewritten chapter, and minor changes to two chapters, following the 22-week NEB redo. Unfortunately, this did not ‘reduce’ the volume of the 689-page report. The NEB’s reconsideration process was required after the Federal Court of Appeal quashed the 2016 federal approval of TMX in August 2018. The court found that the NEB’s exclusion of marine shipping from the initial environmental assessment resulted in a report so deficient that it could not be considered a valid report for the Cabinet to rely on in its decision. 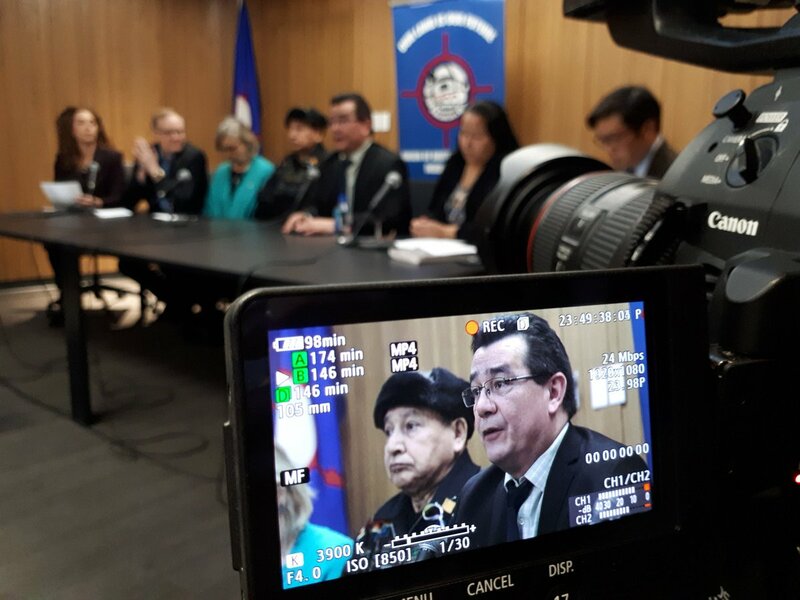 The court’s ruling also held that constitutionally-required consultation with affected First Nations – a separate process from the NEB review – was “well below the standard” set by the Supreme Court of Canada. Unsurprisingly, the NEB once again recommended approval of the Trans Mountain Expansion project, suggesting 156 conditions (one less than the 157 it suggested last time), and 16 non-binding recommendations. The future of affordable nutrition is the subject of a report released last week from the Institute for the Future and commissioned by the Bill & Melinda Gates Foundation. “Good Food is Good Business” takes a look at forces that will drive opportunities to create more affordable, accessible, appealing and nutritious foods for lower-income consumers during the next decade. 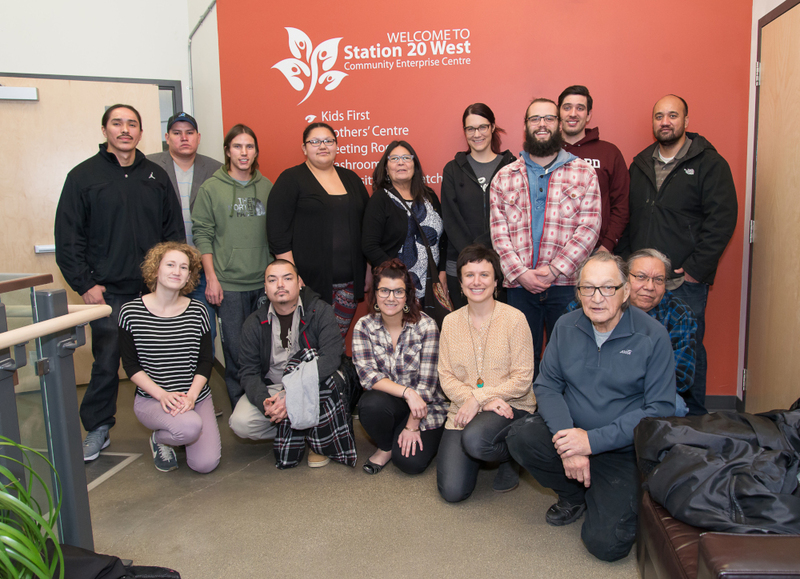 The Wahkohtowin Strengthening Families Program gives people in Winnipeg’s inner city the opportunity to build community and support each other, says Leslie Spillett. Photo supplied by Sarah Buhler. For Leslie Spillett, Wahkohtowin isn’t an idea or principle — it’s a way to live. Wahkohtowin, a Cree teaching about kinship, connectedness, and a responsibility to care for each other and the world, informs every area of her life, says Spillett. Including her work with children and families. Author gaianicityPosted on March 23, 2019 March 23, 2019 Tags Cree teaching, interconnectedness of life, kinship, Wahkohtowin, web of lifeLeave a comment on Could Wahkohtowin Help Us Fix Child Welfare? Your checking account is funding climate disaster. After the Paris climate agreement in late 2015, J.P. Morgan Chase CEO Jamie Dimon spoke publicly in support of the agreement, which calls for finance flows to be “consistent with a pathway toward low greenhouse gas emissions.” But despite his rhetoric, between 2016 and 2018 his bank ramped up funding for fossil fuels, pouring $196 billion into financing coal, Arctic oil and gas, fracking, tar sands, and other fossil fuel projects. If you bank at Chase, your money might have helped fund drilling in the Amazon rainforest. 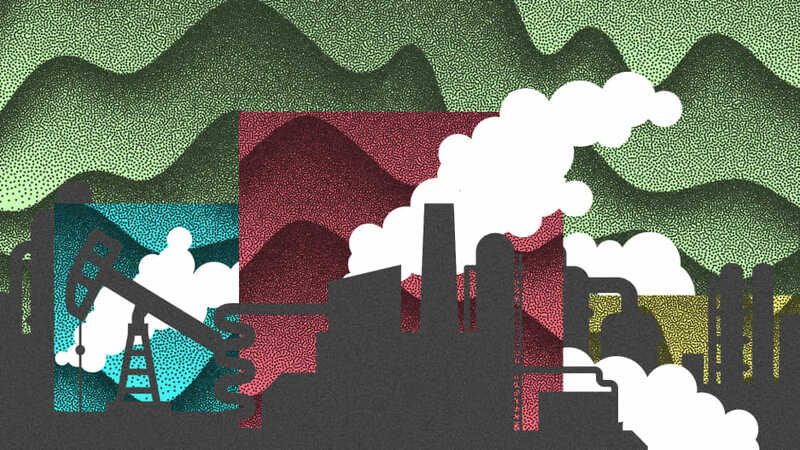 In total, according to a new report from a group of environmental nonprofits, the 33 largest global banks collectively provided $1.9 trillion in financing for fossil fuels. Of that, $600 billion went to 100 companies that are aggressively expanding fossil fuel projects at a time when climate scientists say that the world needs to rapidly transition to renewable energy. An overview of the water justice movement in Canada and the ways in which power is manufactured and deployed in water governance. Water is a cross-cutting issue among many social movements in Canada and in Indigenous nations. The water justicement movement here is diverse and includes grassroots groups, individual activists, Indigenous nations and groups, environmental and labour organizations, scientists, workers and many others. They work on broad range of issues including calling for justice in the face of drinking water advisories in First Nations communities, Nestlé and other bottled water takings, oil and gas drilling, pipelines, mining, fracking and liquefied natural gas (LNG), public-private partnerships, nuclear waste and other threats. There are also localized movements fighting mega quarries, logging and so much more. The creation of laws or policies: For example, Bill C-69 which includes the Canadian Navigable Waters Act, has significant impacts on water, yet fails to obtain free, prior and informed consent from Indigenous nations, cutting many out from decision-making processes. Policing and criminalization of dissent: There are a lot of examples where governments and police criminalize Indigenous peoples and settler activists for defending lands and waters such as the Line 9 pipeline, the Trans Mountain pipeline, fracking in Elsipogtog First Nation and the raid on Wet’suwet’en territory earlier this year, and protect corporate interests instead. Land or property: Whether land is designated Crown land, private property or recognized as Indigenous territory gives some people power and leaves others out of decision making. Messaging, language and framing particularly in the media: Messaging can be based on false assumptions. For example, messages like “the fossil fuel industry is the only way to create jobs” or “pipelines, fracking and bottling water are good for the economy” are based on the false assumption that the current capitalist economy is good for everyone. Knowledge and access to information: Public-private partnerships are often kept secret — like in the case of Winnipeg — and that inhibits a community’s ability to engage in genuine democratic debate. Despite Earth’s surface being covered with water, there is very little water to drink. Saltwater oceans make up 97 per cent of the water on Earth. Glaciers at our polar caps lock up two per cent of our fresh water. Seven billion people and millions of animal species share just one per cent of the water available on our planet. With climate change savaging weather systems and our population rising, scientists and engineers are struggling to find local solutions for the global water problem. 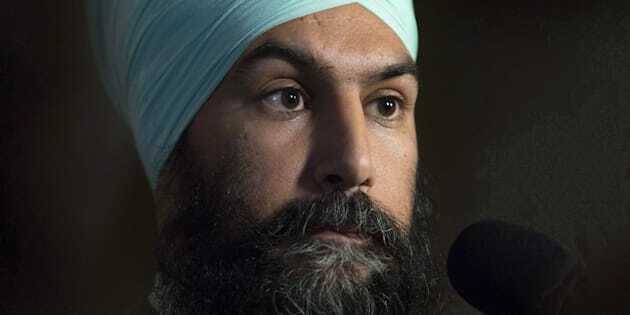 Commentator, historian and writer Christo Aivalis explores Jagmeet Singh’s first week in Parliament as the first racialized person to lead a major federal party in federal Canadian politics. In this Youtube commentary, Aivailis notes that, while Singh has much to offer, perhaps his key strength comes in how he is a steadfast enemy of both social intolerance and economic inequality. But most important is how he links the two. The federal NDP leader states clearly that we will never rid ourselves of intolerance, prejudice, and distrust until we address systematic inequalities in the Canadian economy. In short, Singh is the alternative, both to Andrew Scheer and Maxime Bernier’s dog-whistle conservatism, and to Justin Trudeau’s disingenuous progressivism.